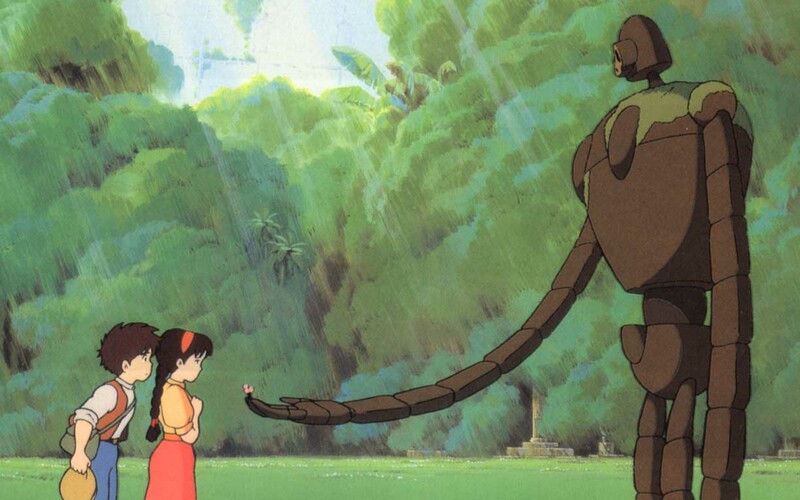 Today I realised that the robot (a giant robot from Studio Ghibli’s Laputa – Castles In The Sky) head I started yesterday had some scale issues. Given that I am making it to go in a fish tank, and given the size of the robot torso vs head, I was looking at some kibd of outsized craziness. So I made a smaller one, and started on the detail for the bigger one’s eyes. 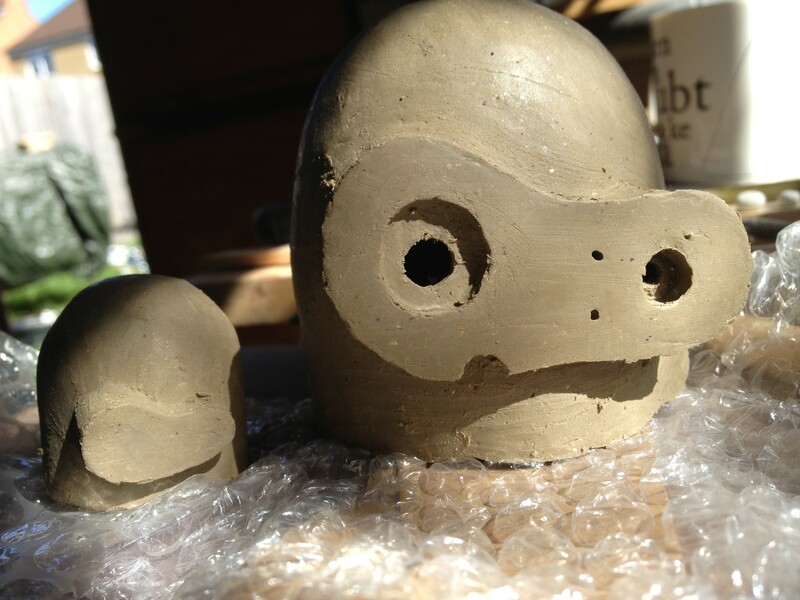 Maybe the big one will be a garden ornament..
They’re made from a clay with a high iron and mica content, so they’ll go orangey with a oxidative firing, and have shiny speckles. Given the variable success of my rather random firings, anything could happen.